Available in Slim (20" wide) or Standard (22" wide) Widths. Fits 2015 and up Indian Scouts. Mounting kit included. Click for more info. The same windshield sold by Indian through 2003. Mounting kit included. The same windshield sold by Indian. Mounting kit included. 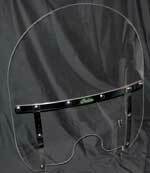 Full Size Windshield, 3 heights, 2 widths, clear or tint. Mounting kit included. Click on image for more info. Replace the OEM Chief windshield. Clear or tint. 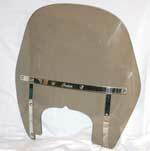 Replace the OEM Vintage Chief windshield. Clear or tint.